We began scrutinizing New Testament texts that "kingdom now" theologians employ in an attempt to argue that the kingdom is a present reality in order to show that none of these passages teach a present form of the kingdom. We have examined the typical texts from the Gospels, Acts, Paul's letters, the general epistles, and Revelation that are typically used by "kingdom now" theologians. At this point, we largely find ourselves in agreement with the following statement by E.R. Craven. Concerning a present, spiritual establishment of the kingdom, Craven notes, "There is no critically undisputed passage in the Scriptures which declares, or necessarily implies, even a partial establishment in New Testament times." We then began to take a look at some other miscellaneous arguments used by "kingdom now" theologians. Since the biblical text itself fails to positively teach or convey the notion of a present spiritual establishment of the Messianic kingdom of God upon the earth, it is common for "kingdom now" theologians to appeal to an argument from silence. According to this line of thought, since the New Testament fails to mention or emphasize a future earthly kingdom, then the promise of a future terrestrial rule of Christ has somehow been cancelled. Since this promise of a future earthly reign of Christ is cancelled, due to this alleged silence, the Bible's kingdom promises are being fulfilled now in the present Church Age. In the last installment we observed that such thinking represents a logical fallacy known as an "argument from silence" where it is incorrectly assumed that silence on a matter is the same thing as a cancellation of it. Furthermore, beyond using faulty logic, the "kingdom now" theologian is wrong in assuming that the New Testament is completely silent on the subject of the restoration of Israel's terrestrial kingdom promises. While not emphasizing this truth to the same degree as is found in the pages of the Old Testament, the New Testament still affirms this truth in several places. For example, Luke 21:24 says, "...Jerusalem will be trampled underfoot by the Gentiles until the times of the Gentiles are fulfilled" (italics added). The mere existence of the preposition "until" (achri) implies a time when Gentile dominion over Jerusalem will come to an end and Israel will be restored to her rightful place of rulership over the nations. Matthew 23:38-39 similarly says, "Behold, your house is being left to you desolate! For I say to you, from now on you will not see Me until you say, 'Blessed is He who comes in the name of the Lord!'" Here, Christ speaks to the unbelieving first-century Jewish leadership. As in Luke 21:24, the conjunction "until" (heōs) again implies a time when the nation will pray Psalm 118:26 and consequently see Christ again leaving their house no longer in desolation (Matt. 24:31; 25:31). Christ's promise in Matthew 19:28 also reaffirms the future land promises: "Truly I say to you, that you who have followed Me, in the regeneration when the Son of Man will sit on His glorious throne, you also shall sit upon twelve thrones, judging the twelve tribes of Israel." This verse teaches that the resurrected apostles will reign over Israel's twelve tribes. Just as each tribe was allotted land in Old Testament times (Josh. 13-21), tribal land allocation will also be the reality in the future kingdom age (Ezek. 47-48). ...that a partial hardening has happened to Israel until the fullness of the Gentiles has come in; and so all Israel will be saved; just as it is written, "The Deliverer will come from Zion, He will remove ungodliness from Jacob." "This is My covenant with them, When I take away their sins." Notice Paul's express assertion that Israel's hardening is only partial, as well as his affirmation of Israel's future deliverance and forgiveness. Paul also discloses God's intention to keep His covenantal obligations to Israel. The Davidic Covenant seems to be in view in 11:26b by mention of the Messianic deliverer (Isa. 59:20). Similarly, the Abrahamic Covenant appears in Romans 11:27a with its allusion to Isaiah 59:21 and Genesis 17:4. The New Covenant seems to be referred to in Romans 11:27b when it cites Jeremiah 31:31. Thus, these verses furnish a clear reaffirmation of the Old Testament kingdom promises. New Testament reaffirmation of the land promises is also implied in the Apocalypse. In Revelation 7:4-8, we learn of how God will use 144,000 Jews to evangelize the world during the Tribulation (Rev. 7:9-17). Here, we are specifically told that 12,000 Jewish evangelists will come from each of these twelve tribes. In Revelation 14:4, these Jewish evangelists are called the "first fruits." In Israel's harvest cycle, the first fruits of the harvest guaranteed that the general harvest would also come in. In the same way, the conversion of these 144,000 Jews guarantees that the rest of the Jewish remnant will also be converted (Zech. 12:10; 13:8-9). Moreover, Revelation 20:7-10 speaks of a final, failed satanic rebellion at the end of the Millennial kingdom as described in Revelation 20:9: "And they came up on the broad plain of the earth and surrounded the camp of the saints and the beloved city, and fire came down from heaven and devoured them." Notice that this satanic attack is aimed at the "beloved city." Although not identified by name, this designation is a clear reference to the city of Jerusalem since the descriptor "beloved" city or an equivalent statement is used repeatedly in the Psalms to depict Jerusalem (Ps. 78:68; 87:2). Even Simcox and Ladd, while simultaneously arguing against a literal fulfillment of the temple and sacrifices mentioned in Ezekiel 40–48, indicate that Jerusalem is clearly in view in Revelation 20:9. The reason that Satan attacks Jerusalem in this final battle is because God, during the Millennial kingdom, will fulfill His promise of making Israel and Jerusalem head over the nations (Deut. 28:13; Isa. 2:2-3; Zech. 14:16-18). Because Israel in general and Jerusalem in particular will be the headquarters or the nerve center of the Millennial kingdom, this special city will become the object of Satan's wrath during this final battle. Robert Thomas explains, "At the end of the Millennium that city will be Satan's prime objective with his rebel army, because Israel will be a leader among the nations." Finally, it is interesting to note that the gates in the eternal city or the New Jerusalem will be named after the twelve tribes of Israel (Rev. 21:12). Such naming seems to once again reaffirm God's intention to fulfill all that He has purposed to do through His covenanted nation Israel. 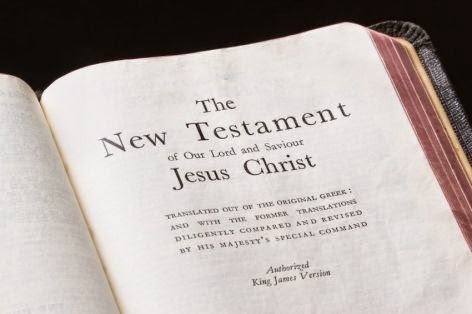 In sum, while it is true that that the New Testament is not as clear as the Old Testament on the subject of God's future kingdom promises through Israel, the "kingdom now" theologian errs in asserting that the New Testament is completely silent on this matter. As has been demonstrated, the New Testament reaffirms God's Old Testament kingdom promises at several junctures. However, even if the New Testament remained silent on this matter, that fact in and of itself would be insufficient to establish "kingdom now" theology. Mere silence of the New Testament should not be equated with an overt cancellation. Through its focus on the Eternal State, the totality of New Testament revelation indicates that the Eternal State will one day become a reality only after it is preceded by the fulfillment of the earthly kingdom promises. Thus, the New Testament's focus on the Eternal State merely communicates the end of the matter without neglecting the beginning of the kingdom or the one-thousand year earthly reign of Christ, which chronologically precedes God's eternal rule. In other words, New Testament certainty of the Eternal State simultaneously communicates certainty of the preceding earthly kingdom. E.R. Craven, "Excursus on the Basileia," in Revelation of John (New York: Scribner, 1874), 95. Robert Thomas, Revelation 8–22 (Chicago: Moody, 1995), 425. W.H. Simcox, The Revelation of S. John the Divine with Notes and Introductions (Cambridge: Cambridge University Press, 1893), 185; George Eldon Ladd, A Commentary on the Revelation of John (Grand Rapids: Eerdmans, 1972), 270. Robert L. Thomas, "A Classical Dispensationalist View of Revelation," in Four Views on the Book of Revelation , ed. C. Marvin Pate (Grand Rapids: Zondervan, 1998), 207. Mark Hitchcock, 101 Answers to the Most Asked Questions About the End Times (Sisters, OR: Multnomah, 2001), 212.